You know I love a great outfit for a party! When it came to my bridal shower I wanted something with fun and cute. I decided to try and find a thrifted dress from the Salvation Army Thrift Store. What a score I found! This is a Free People dress that online is $250 and I only paid $8.99. I want to find a fun pair of tights to go with the dress and hopefully can find something before Sunday. The dreamy burgundy shoes are from Winners and Italian leather, for only $60 on sale. They are so cute, with an updated Mary-Jane look. 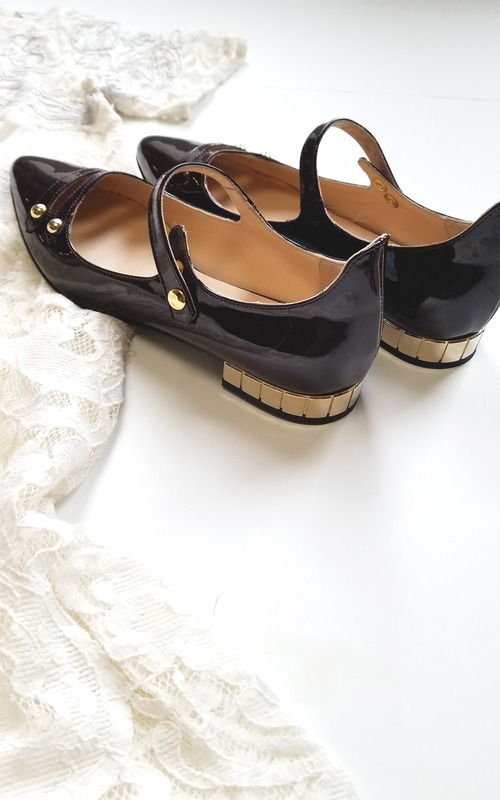 The look of the lace with the patent leather is cute but classy. 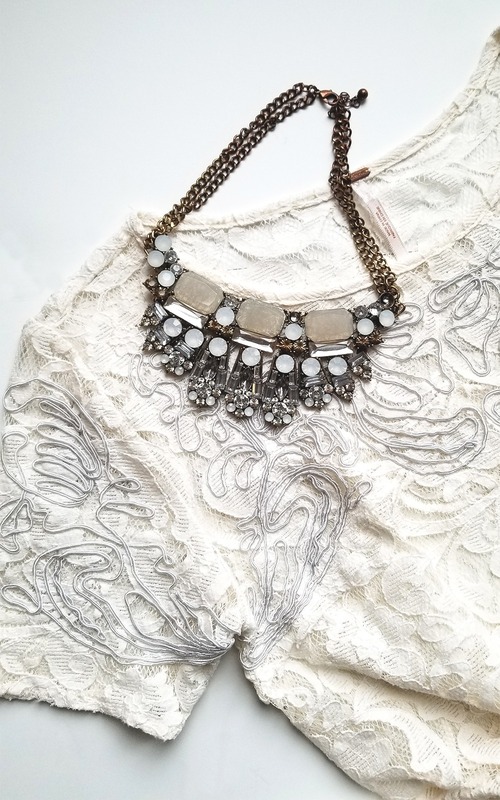 The detail on this Free People lace dress is dreamy. The shape of the dress is a nice cut but the extra detail on the top is what really makes it. Paired with this costume necklace the dress really stands out.